What is Hypnotic Happy Hour? A combination of hypnotic inductions and deep relaxation techniques allow me to guide you safely and beautifully into a series of completely individual states of happiness which are powerful and long lasting. A wonderful and effective way to banish the blues! Sessions such as "Seaside Sensation" - being right there on your favourite beach, evoking the joy and freedom associated with that summer feeling; "Cosmic Connection" - the joy of freedom and connection and free flowing joyful energy; "The Euphoria Fruit"; "Jungle Heights" and many others offer you an entirely individual experience of experiencing happiness. Many of the techniques I use can be used at home to elevate your mood. 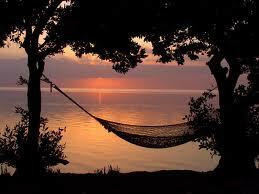 Rest your brain and relax your body with a half hour holiday! Sometimes it can be really hard to completely relax, so a short, restful hypnosis session may be exactly what you need. This relaxation treatment is tailor made to suit your own idea of what is relaxing, and will take you far away from the day-to-day hustle and bustle just like a short holiday. A great way to experience hypnosis for the first time or as a regular treat! You might like to think of it as a massage for the brain! You like to relax physically and mentally don’t you? How about combining that with raising your energy levels, elevating your mood and increasing your joie de vivre? You can experience a naturally high mindset during a Hypnotic Happy Hour and build each week on your general level of happiness and wellbeing. Combining powerful hypnotic inductions, applied imagination and relaxation, I help you to build up your techniques to access happiness. "I was amazed at how quickly I relaxed and how such a short 'holiday' could make me feel so wonderful!